Come celebrate with that special someone! COMEDY~DINNER~LIVE MUSIC & DANCING! 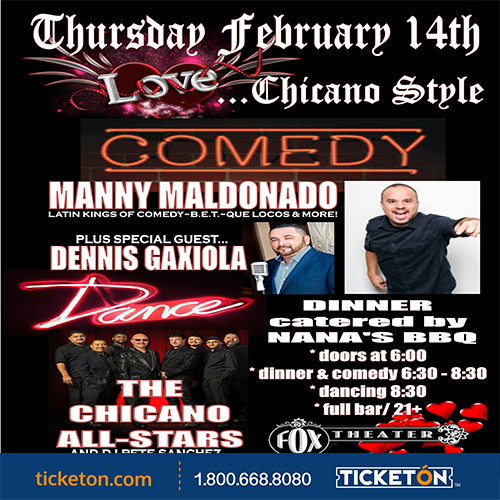 COMEDY WITH MANNY MALDONADO & DENNIS GAXIOLA as seen on Latin Kings of Comedy, BET, Que Locos and more! After dinner dance to THE CHICANO ALL-STARS, playing al your favorite dance music along with DJ Pete Sanchez.